Looking for the best 3D printing service? Join the revolution without a 3D printer, thanks to quality online 3D printing services. What are the benefits of using a 3D printing service, as opposed to owning a 3D printer of your own? Let’s begin with the object. 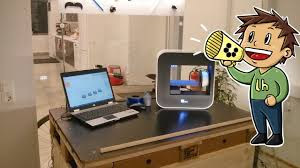 You can send scans, photographs, STL files or even physical items to be fabricated using a 3D printer. You can choose any number of materials and colors for your item, plus typography and sizing where relevant (e.g. for an engagement ring), so the customization options are endless. Shapeways has emerged as a bit of a leader for those interested in getting involved with 3D printing but don’t have the software or equipment to dive headlong into it themselves. Their marketplace is full of pre-designed items that you can have printed if you like, or you can use their design services to customize your items and have them printed to your specifications. If you have a schematic or model you want printed, getting it done is as simple as uploading the file, choosing your material, figuring out how much of the item you want, and paying for it, but if you’re more of a newbie to the whole process, the service offers a great introduction that doesn’t require special software to get started. Shapeways also has a massive marketplace where members of its community can sell the items they have printed, including things like jewelry, smartphone and tablet cases, household items, and more. Pricing varies depending on the material you want to print (Shapeways can print stainless steel, precious metals, various plastics, and more in full color or monochrome), how much you want to print, and more, but you’ll get instant estimates as soon as you upload your schematics. If you want to sell your item, you can upload your design and schematic, and if the community is interested and supports it (with a promise to buy, obviously) Shapeways will handle the printing.